On the Planet Cray in the depths of the Dark Zone, 3 clans compete for leadership to be determined in the Demon world cup. The winner will wage war against the United Sanctuary. In this dark a bloody zone Blood Ball and Gallows Ball reign supreme (a mix of american football and rugby), attracting thousands of screaming blood thirsty fans. And out of all these morally depraved and sociopathic maniacs one team is the undisputed champions the Spike Brothers. Lead by General Siefried one of the highest classes Cyborg Demons. He is a dangerous player who is willing to lead his team to victory regardless of the costs. Offensively he is supported by The quarterback of the Spike Brothers' Gallows Ball Team, Dudley Dan, a demon feared as the brains of his team due to his well-known cunning and utterly cruel strategies. While his specialty is in thinking, in some cases, he becomes the pillar that allows strategies to work out, such that his win record at the many stadiums is equal to that of famous players who have left to cause evil throughout the world. But its not all about the quarterback Wearing a Purple-Crimson Suit, Sky Diver is the Spike Brothers' leading Running Back. By using the Flight Equipment strapped to his back to the fullest, he is capable of precise control while gliding at high-speed. Its four wings are sharpened like blades, and are said to be dyed red by the blood of those that get caught in its path. But if you think the team is all offense defensively the Spike brothers are a terror as well Juggernaut Maximum is defensive tackler of the Bloodball Team. He's a giant cyborg who subjected himself to muscle and body strengthening modifications. Those with strength equal to or less than his own that stand in front of him are crushed. Mecha Trainer (Workeroid)Auto: When you ride another 《Spike Brothers》 on this Unit, you may call this Card to a Rear Guard Circle. Startup 【R】: [Counterblast (1), retire this Unit] Search for 1 Grade 1 or lower 《Spike Brothers》 from your Deck, reveal it to your Opponent, add it to your Hand, and Shuffle that Deck. He's your standard starting vanguard. A searcher for a level 1 which in most cases is for Dudley Dan so you can start your guys tagging but you can also search for Cheer Girl, Marilyn (the Null guard) or when we get him Commander Guiri Gyanon who is the typical promo with a Flame of Hope, Aermo type effect. [AUTO]: When this unit is put into the drop zone from (GC), put this card into your soul. Activate 【R】: [Move this Unit to Soul] When you have a 《Spike Brothers》 Vanguard choose 1 from your Damage Zone and unflip it. WHERE ARE THE STAND TRIGGERS???? ?What you don't see here are stand triggers. Honestly Im not sure if Spike Bro's is ever gonna see a stand trigger, I say this because a stand here would be devastatingly good. The inherent ability to Superior Call units from the hand or deck already means you can pull of more than 3 attacks per turn, if you add to this a stand trigger that can enable more of these effects to go off or to stand up the boosters to power up these superiored units "theoretically" would be killer. I say theoretically because I haven't actually tested running theoretical triggers but on paper it looks to be bananas. The null guard of the clan, I almost always run Nulls in 3s. Remember she is searchable with the trainer. Auto 【R】: (select 1 card from your hand and discard it) When the attack of this unit with the unit boosted hits, You May Pay the cost, draw a card. Auto 【V/R】: [Soul Blast (1)] When this Unit attacks, and you have a 《Spike Brothers》 Vanguard, you may pay the cost. If paid, during that battle, this Unit gains +3000 Power. Auto【R】: [Counterblast (2), choose 1 《Spike Brothers》 from your Hand and send to Soul] When this Unit boosts a Vanguard, you may pay the cost. If paid, search for 1 《Spike Brothers》 from your Deck, call it to a Rear Guard Circle that's without a Unit and shuffle the Deck. Activate 【V/R】: [Counterblast (1)] During this turn, this Unit gains +1000 Power. Slinger is a promo and in all honesty underwhelming. The clan doesn't really run a lot of counter blast cards Dudley Dan being the only one of real note. So yes it can make use of unused counters but by that time (after you have used Dans effect) your pretty much able to hit your numbers to start your offensive push. Auto 【R】: During the battle, that this Unit has Boosted a 《Spike Brothers》, if the Attack hits, Stand this Card. This guy is one of the reasons why we may never see a stand trigger. This effect is like a weak @$ version of a stand. The play is to hit with a Juggernaught (or Brakki) boosted by this card getting the +5000 so to attack with 20k return the attacking unit, stand Assault Squad and hopefully have Seifried check a grad 3, call it to the empty spot and boost with Assault squad again. Or more consistent is to attack with Sky Diver boosted by Assault Squad for 15K, if it hits send the Diver to the Soul and superior a unit from hand that Assault squad can boost again. The issue here is that SBAS is only 4k attk and for the effect to go through the attack has to hit. If his attack were higher it may have been an interesting card but as it is I wouldn't recommend him. Auto: When this Unit is called to the Vanguard Circle or Rear Guard Circle, reveal the top card of your Deck. If that card is a Grade 1 or Grade 2 《Spike Brothers》, call that card to a Rear Guard Circle, if not, shuffle that Deck. AUTO](RC): [Soul-Blast 1] When this unit attacks, you may pay the cost. If you do, this unit gets [Power] +5000 until end of that battle, and at the beginning of the close step of that battle, return this unit to your deck, and shuffle your deck. I love Brakki. for a small price of one soul blast and to be returned to the deck Brakki can hit for an un boosted 14K!!!! Most may frown at the return to deck part but honestly this may be one of his best features. The SB game play is to attack big then retire to the deck so that the Siefried can then hit, check a grad 3 and then call that unit to the now open slot for another attack. Auto: When this Unit intercepts, and you have a 《Spike Brothers》 Vanguard during that Battle, this Unit's Shield gains +5000. AUTO 【V/R】: When one of your other «Spike Brothers» unit's attack hits a Vanguard, during that turn, this unit gets Power +3000. Auto 【V】: When a Grade 3 《Spike Brothers》 is revealed by this Unit's Drive Check, you may call that card into a Rear Guard Circle that does not have a Unit in it. Auto 【V】: When this unit is boosted by a 《Spike Brothers》 unit, this unit gains +3000 Power. Couple things to note Some grade 3s in this deck belong in RG and some in VG. Siefried is a VG grade 3. His effect only happens to empty circles as well so understanding your timing and attack order is very important, try to attack with your units that vacate the circle after attacking, So that now when you attack with Siefried as VG you have a spot to put that Drive Checked grade 3. Other than that if he is boosted by a Wonder Boy He hits that magic 21k number. 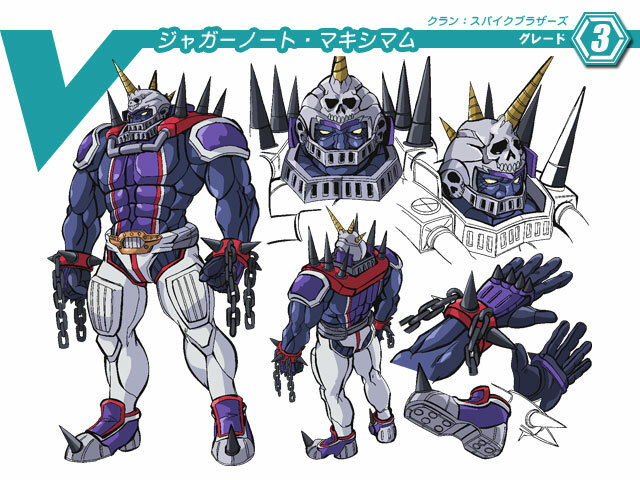 [CONT](VC/RC): If you do not have another <Spike Brothers> Vanguard or rear-guard, this unit gets [Power] -2000. Continuous【V/R】: If you do not have another《Spike Brothers》 Vanguard or Rear Guard, this Unit loses -2000 Power. Auto【R】: [Put this Unit into your soul] When this Unit's attack hits, you may pay the cost. If you do, choose up to 1 《Spike Brothers》 from your Hand and Call it to a Rear Guard Circle. This guy is mighty handy, fills the soul, 11k, and can superior call from your hand for multiple hits. NOTE!!! this card doesn't specify open circle, so you can call your units through his effect right over top of preexisting units sending them to the drop zone. Remember that this unit had to hit to get his effect. Auto 【V】: During the start of your Main Phase, Soul Charge (1), and for that turn, this Unit gains +2000 Power. Auto 【V/R】: [Soul Blast (8), Counterblast (5)] When this Unit's attack hits, you may pay the cost. If paid, look at the top 5 cards of your Deck, out of them, choose any number of 《Spike Brothers》 and call them out separately to Rear Guard Circles, Shuffle the Deck afterwards. Unite always feels like a win more card. He fills the soul and can easily attack for 12k but I don't like to run him since I feel he's not quiet in synch with the rest of the deck. Id rather run more of the other grade 3s that can facilitate more combos.